How to Watch Video and Movies on Sony Blu-ray Disc Player via USB Stick? "Hi, I just bought a new Sony Blu-Ray disc player yesterday. Everything is fine, we watched a movie that came with it last night on my 1080p Sony HDTV and really loved the quality. Now, today I added some 1080p videos in my USB stick which are mixed with Mpeg4(mp4)'s and with some WMV type of video. For some reason, when I go in the ''videos'' section it doesn't see anything at all, I've updated the firmware of the player to the latest version but it didn't help. Please help Thanks." 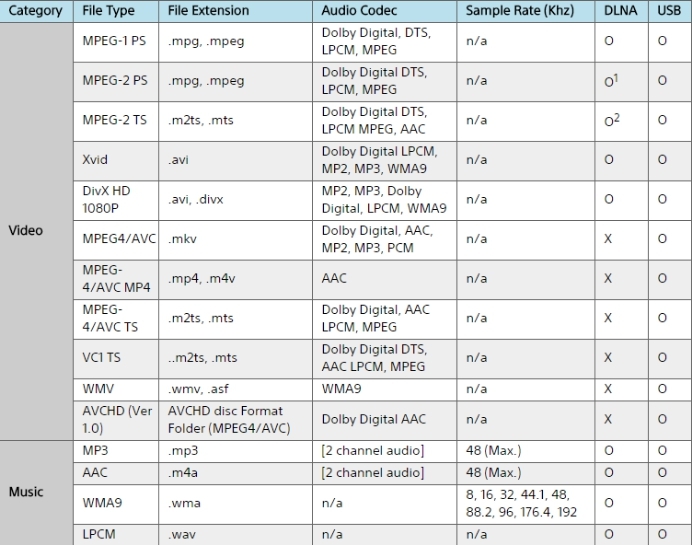 If the video or audio file formats are not included in the format list above, you will fail to watch movies on Sony Blu-ray disc player via USB device. Fortunately, there are many powerful video conversion application can assist you to fix the incompatible format playback issues. 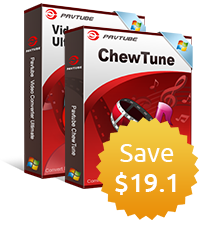 Here, you can download the free trial version of Pavtube Video Converter Ultimate for Windows/Mac, you can try before you buy to make sure whether the program can do the work for you. With the application, you can convert virtually any file formats you like with the resolution of 4K/2L/HD/SD to Sony Blu-ray dis player connected USB device supported video/audio formats and codecs listed above. How to Play Any Video and Movies on Sony Blu-ray Disc Players via USB stick? Step 1: Load video movie files to the program. 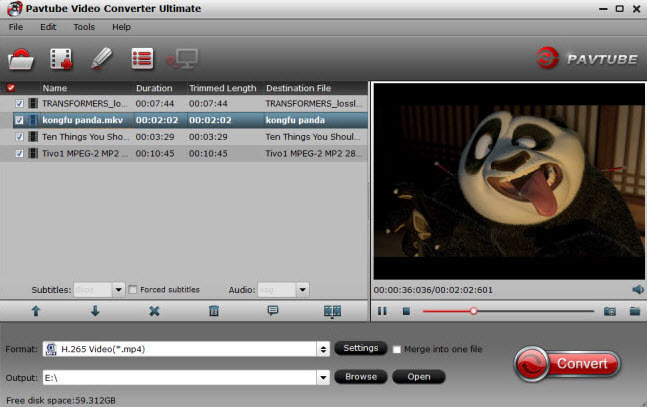 Launch the application on your computer, click "File" drop-down option, click "Add Video/Audio" or "Add from Folder" to import source video or movies files to the program. 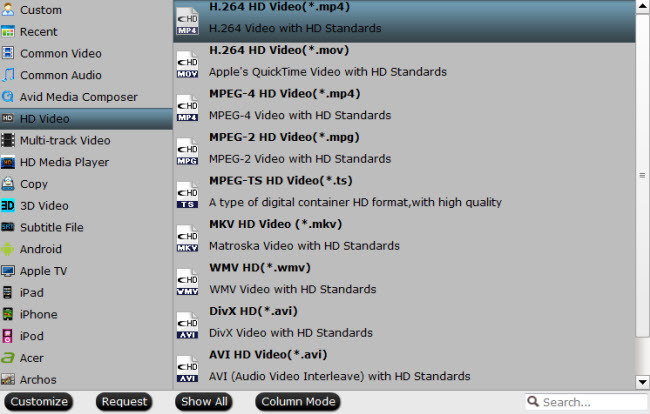 Click "Format" bar, from its drop-down options, choose to output the format or codec that's can be played on USB compatible Blu-ray disc players. Step 3: Customize to output supported audio codecs. 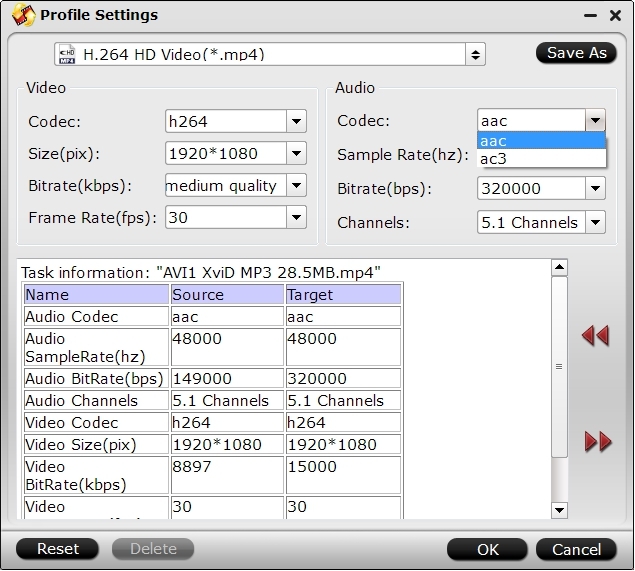 Click "Settings" to open "Profile Settings" window, under "Audio" panel, click "Codec" drop-down list, select "AAC" to output for playing on Sony Blu-ray disc player via USB stick. Go back to the main interface, hit right-bottom "Convert" button to convert video movies to the supported file formats by USB compatible Sony Blu-ray disc players. When the conversion is completed, transfer the converted files to Sony Blu-ray disc compatible USB stick, then plug the USB stick into your disc player's USB port, then you will have no video playback problem on Sony Blu-ray disc players via USB stick.